Ryan Morrison was a recent business school graduate saddled with student loan debt – and a self-taught software application coder looking for the next great app. After stumbling upon an app called Acorns which encourages investing and simplifies saving, Morrison was struck by a novel hack of his own. What about an app specifically suited to college students that would sync to users’ checking, debit, and credit card accounts, monitor their purchases, and round up each transaction to the nearest dollar? The difference then, small-change as it may be, would be applied to outstanding student loan or credit card balances. This form of “forced savings” should shave time and interest off their loans or debt. His idea became CoinStash. He began writing the code and by fall 2016 set off to perform competitive and market analysis. He interviewed millennials around Miami on whether and how much they’d pay to use such an app. Morrison also knew he needed more business insights. A finance graduate of the FIU College of Business, Morrison was at a networking event for Miami entrepreneurs when he learned about StartUP FIU’s Empower Accelerator Program. He’d been invited to join other accelerators, but Morrison knew aligning with his alma mater would bring unique benefits – working with college professors and mentors, and having constant interaction with his core audience of college students or alumni with student loan debt. “I’d be able to speak to my users every day,” he says. Morrison’s expectations of StartUP FIU focused on leveraging expertise to plan his growth strategy and learn insights to keeping customer acquisition costs in check. By connecting with coaches and mentors, a core component of the Empower Accelerator Program, he was able to strategically decide on a price of $1.99 per month. He’s also creating his business-to-consumer, or B2C, marketing plans to expand to other area colleges and universities. Hacker adds further that Morrison might have discovered a unique niche – helping students address a huge problem and build a network around student loan debt, which is a multi-trillion-dollar dilemma nationwide. With a designer and engineer on board, Morrison’s smartphone app for iOS and Android should debut in December. 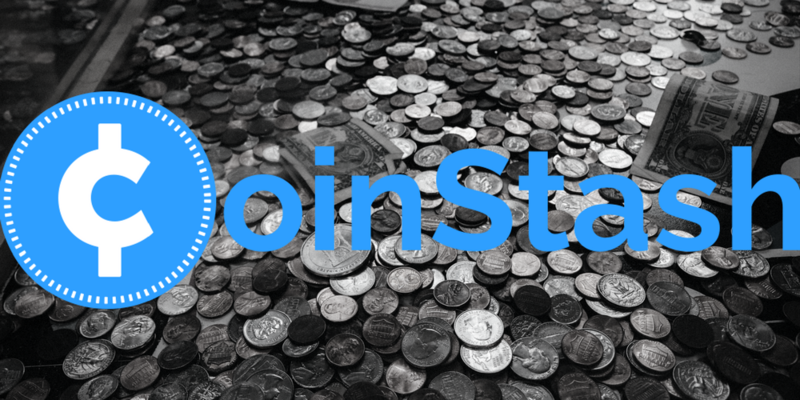 Until then, he’s steering people to his website (www.getcoinstash.com) where they can register their email addresses to get tips, read his blog, and learn about savings and how to encourage friends and family to enroll to help. In December, as he completes the Empower Accelerator program, he will introduce his company to investors at StartUP FIU’s Pitch Day.